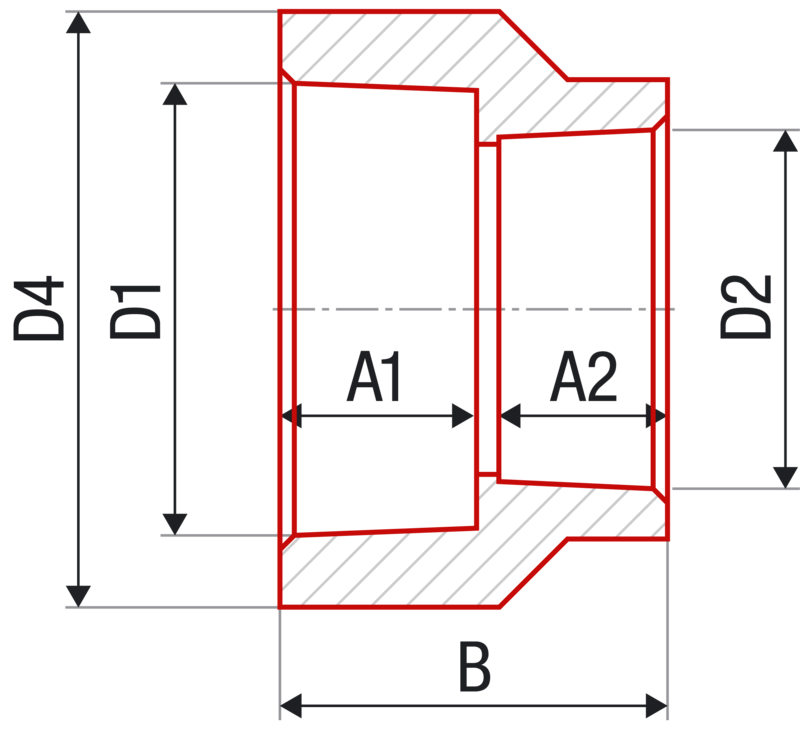 Details: A simple, reliable fitting for dimension change of pipeline. 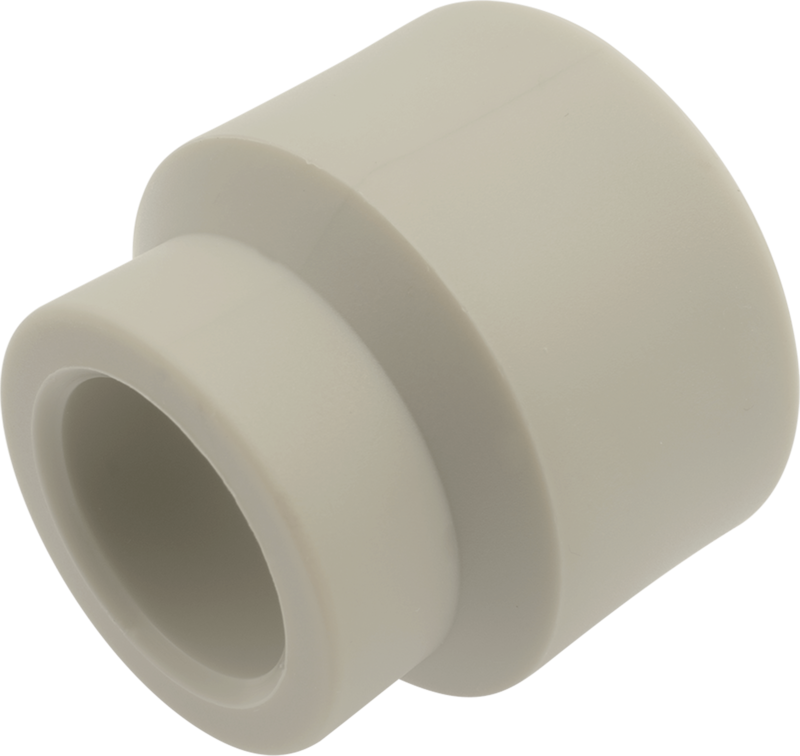 Have you ever had problems when slipping the rolled-up end of the heated pipe onto a fitting? Try using a common knife or special preparation to slide the outer rim of the pipe end intended for heating at an angle of 30 – 45 degrees, particularly at bigger diameters, i.e. from 40 mm up. You will prevent the material from ruffling.